Sun Mountain Sports' Starlet is a mid-sized, full-featured, riding cart bag. For convenience, all pockets are forward-facing and accessible when the bag is on a cart and the top has two integrated lift-assist handles for lifting the golf bag on and off the cart. Fifteen club dividers run the full-length of the bag to prevent the migration of club shafts. Sun Mountain Sports &apos; Starlet is a mid-sized, full-featured, riding cart bag. 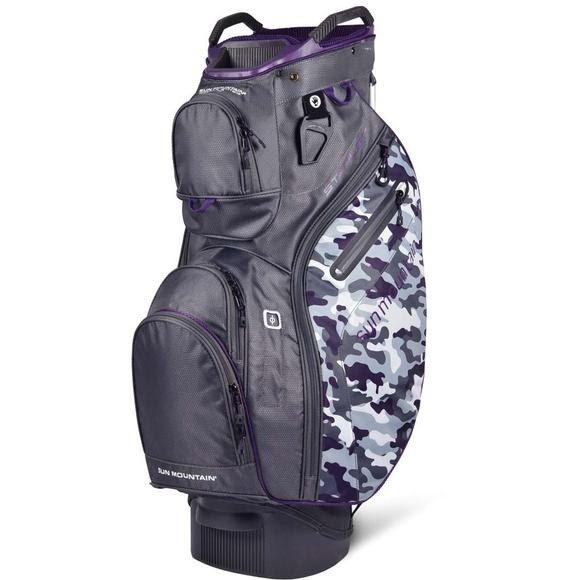 For convenience, all pockets are forward-facing and accessible when the bag is on a cart and the top has two integrated lift-assist handles for lifting the golf bag on and off the cart. Fifteen club dividers run the full-length of the bag to prevent the migration of club shafts.